Why am I blogging? That is the question I ask myself when life gets all whirl-windy and I can't see through the storms. Why am I blogging? Comes back again when the storms settle but business overtakes. Sometimes I respond to self and think, 'I will take a month off'... just to re-settle and refocus. Then article after article pops into my head and I can't bring myself to stop! 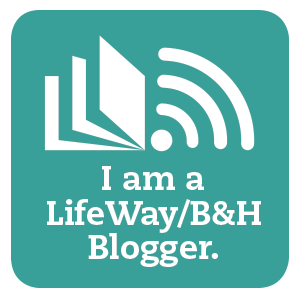 I blog because God called me to. 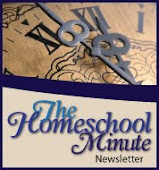 The Faithful Homeschool was envisioned as a platform for articles on faith, home, schooling, marriage, family.... and all the rest that comes under the scope of life in obedience to the Lord... an obedience which shines out to our children, our spouses, and beyond. A life walked out in faith so that faith can transform life. Since we touched down in Billings, Montana the last week of April, I have found myself in the unexpected position of roller coaster passenger. Not the typical, kiddy-coaster all of life just happens to trumble along on.... NO, the monster, mega, massive, sometimes 6-g-how-did-they-get-that-past-inspection, kind of roller coaster! Many ups and downs as we find our way here. Search to see where God is working here. Look for an illusive house here. Simply adjust here. I don't like roller coasters. I did when I was a kid. But not anymore. However, God has been teaching and growing me through the climbs and falls, loops and tunnels. And while the roller coaster hasn't yet stopped (and I am still not certain when the ride will switch tracks back to the kiddy-carts) I am getting better at holding onto the bar and focusing on One Point so I don't get queasy! We have a position in our church. Praying to bring Him Glory and praise in it. We have a line on a house. Praying it works if God so wills. We still don't have a car. Many here have been lending wheels which bless us. We trust God will provide our own vehicle in His time. I have ordered NO curriculum for the coming school year (math books most desperately needed) and I still can't estimate when we will officially begin since all the rest of our reserved-for-this-year books are still in storage 450 miles away. Realizing typical beginning-year review can be accomplished with what we have on hand. Also remembering: we can accomplish more in a GOOD homeschool day then most public schools accomplish in a week. We will make up lost time easily once settled. 360s... 180s... is that formation even legal??? How will we manage the massive trip to transfer our household goods from storage to Uhaul and then the long drive back to be officially here (and making do with NO furniture of any kind in between?). It is a tall feat with many details and contingencies, but God has always taken care of us, always provided what we needed most when we needed it and I have NO doubt he isn't about to stop. My new life in this new place is already filling fast. Some days I am queasy... loop-d-loops make my head spin a bit. But then I Focus and I trust. Our nomadic life right now may make it difficult to have a tangible, stationary schedule. A predictable routine that pockets all tasks into neat little piles. But life isn't about neat piles of predictability. Life is about serving and loving the Lord with all your heart. So if my blog is a little bare lately and updates are few and far between. Know that it is because I asked, "Why am I blogging" in the middle of a roller coaster ride with piles of STUFF flying everywhere. God said, For everything there is a season, and a time for every matter under heaven ... this is a season of living and growing and keeping my eye on him and Trusting and knowing.... at the end of the road I will get off and all that STUFF will settle neatly into its piles and routines and predictability will return and in some, crazy, small way.... I will miss the ride. I pray to be posting next time from the den of my new home, settling back into a neat sort-of routine. And if not.. I Trust God has a purpose for that too. May you find peace on whatever ride God has asked you to take. Whether it is the tilt-a-whirl, the roller coaster, or the merry-go-round! May you rest in the palm of His hand, with your eyes on His, Trusting His mighty purpose with your life. Real, beautiful words of encouragement. Thank you for sharing this today and I do hope the roller coaster slows down for you soon. Thank you :) I'm just thankful to Trust, God is in control and prayerful that others on the same ride know that too! I've been there in that move on that roller coaster - and while I can't do it on a real roller coaster, I have learned to throw my arms up and just go with it - trusting God is free-falling like that - and He brings us around just right! Sometimes, those calls to blog are God's way of giving you just the message YOU need:) And we need that! Very good point about throwing your arms up. I can do that on most 'rides' in life... this one has been a bit more challenging. We have not had our own home in 3 years as we have served Him in the field in the United States. This past year on a road trip across it where we worked in church strengthening which was exhausting and now we are planting somewhere we did not expect. He is pouring out grace in abundance which gives me peace as we move towards finding a home and praying over having our things out of storage for the first time in a long time... and in all that I have looked to my blog as an extension of our ministry. Not being able to blog regularly has been challenging for me... but the replacement of people and events in that time slot is a blessing and growing experience which, I hope and trust, will grow my article writing when I can get back to regular blogging. Thank you so much for your comment! Stopping by from www.intentionallyyours.org by way of Titus 2 Tuesdays! Isn't blogging amazing? I know we write to help us sort out what's in our hearts as much as to help others. Write on, girlfriend!